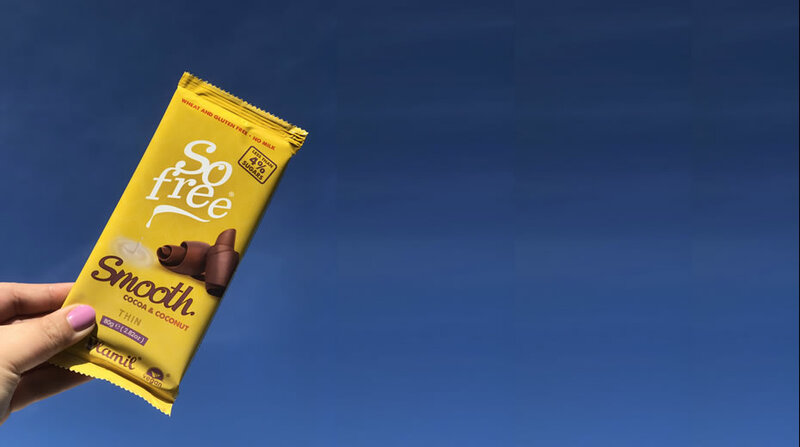 Our new So free Smooth Bar has the taste of milk chocolate, without dairy, and with less than 4% sugars. Find out more. 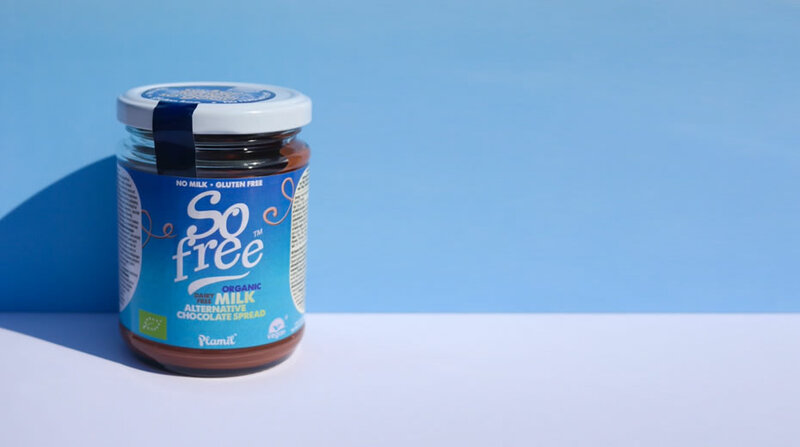 So free alternative to milk chocolate spread is light and moreish - perfect for everyday use. Ideal for everyone! More information. 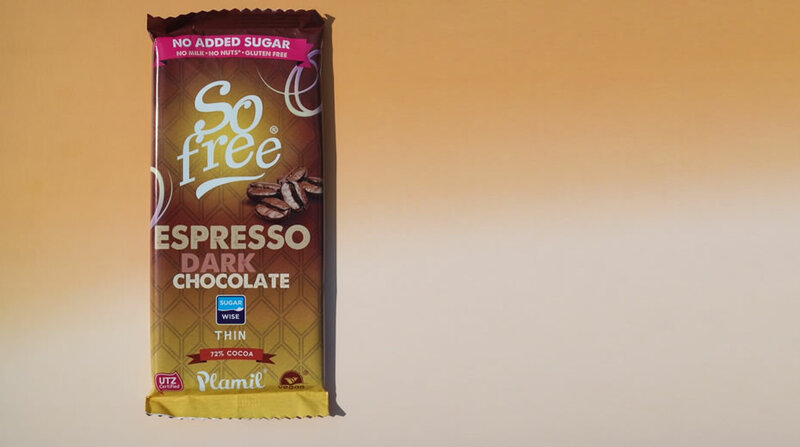 This 72% cocoa thin bar has a rich espresso coffee flavour, with no added sugar. 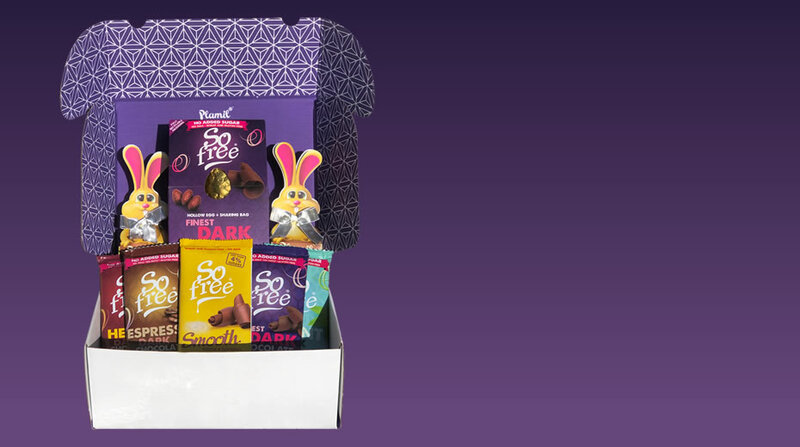 For more info see So free no added sugar chocolate. 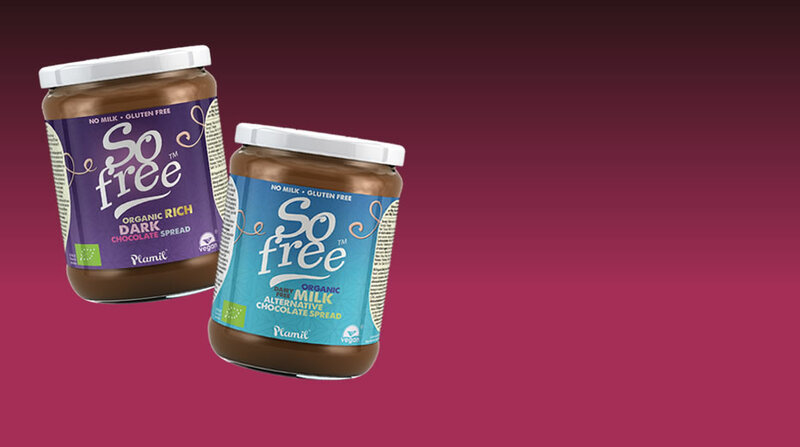 Our premium organic chocolate spreads are now So free! Choose from two great tasting varieties. For more information see So free chocolate spreads. 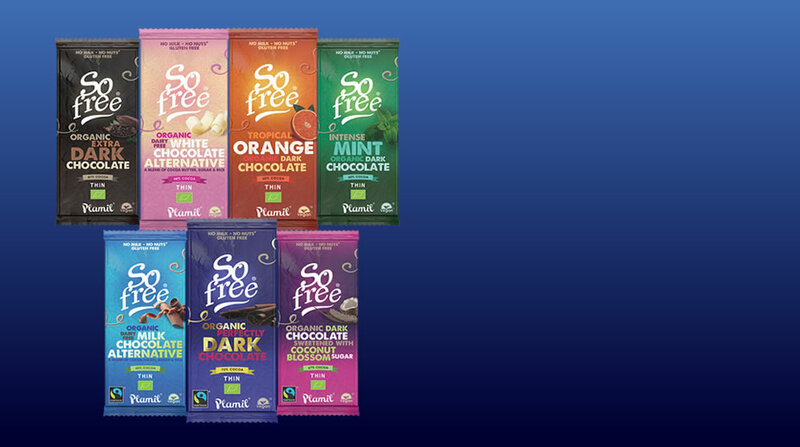 Meet our seven new exciting So free thin organic chocolate bars! For more info see So free chocolate. 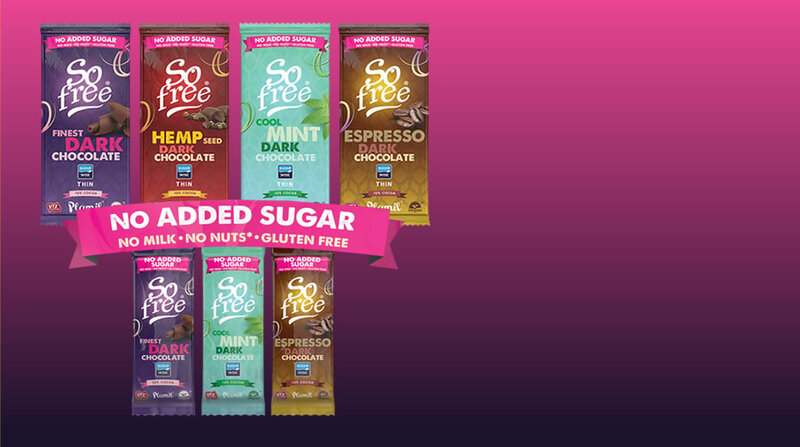 Introducing our seven new exciting So free no added sugar thin and snack chocolate bars! 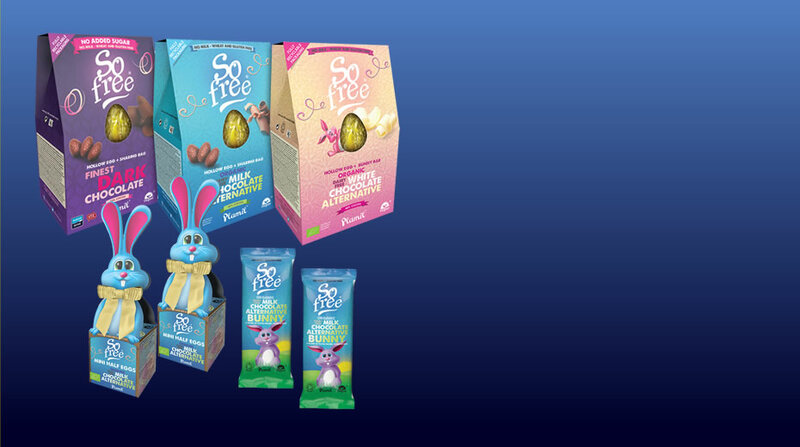 For more info see So free no added sugar chocolate. Plamil Foods make top quality tasty food for all, supplying consumers, retailers, wholesalers and food catering / manufacturing facilities worldwide. We think our customers should be able to enjoy food, knowing that every care is taken in production.